As Government persists in its reluctance to respect Article 106 of the Constitution and call elections, many are of the view that if a date is not set for elections soon, the nation could descend into chaos. One such person who holds this view is outspoken political commentator and economist Ramon Gaskin, who said that the time has come for the Government to obey the rule of law. 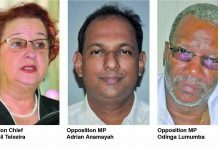 The former advisor to late President, Dr Cheddi Jagan said it was clear based on acting Chief Justice Roxane George’s ruling that after March 19, the Government would be illegal. 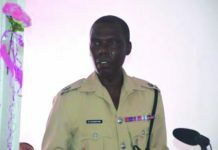 He believes if President David Granger does not set a date for elections before that time, it will lead to pandemonium. “After March 19, the Government will be illegal. So, we are heading in real serious waters. If they don’t resign and call elections, it will not help quell this rising situation in Guyana. But it doesn’t appear to me that Government is in any mood to call elections,” Gaskin stated. He thinks that Guyanese are already tense about the situation, and businesses are confused by what is taking place. 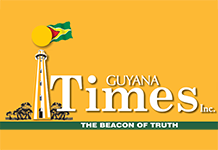 Gaskin, therefore, believes that if there is no clear path to an election, it could lead to a possible unstable political and economic situation in Guyana. 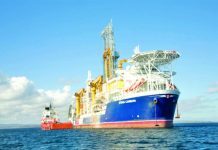 According to him, this could also lead to Guyana being blacklisted by international agencies, Governments and other major groupings. 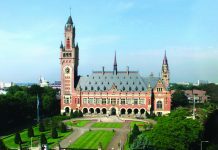 He pointed to the case in neighbouring Venezuela, where President Nicolás Maduro has been accused of violating the Constitution of that country. Gaskin said this was no different from the situation taking place here, except that the violations were blatant and being played out for every major country in the world to bear witness to. “But for the good of our country, Guyana, the President and the Opposition Leader must meet and work this out,” he added. The political commentator told this newspaper that from all indications elections were possible this year, but the various delaying tactics being applied to the situation were just meant to frustrate the people. Gaskin concluded, therefore, that this boiled down to blatant disrespect towards the Chief Justice’s ruling. Gaskin said while Opposition Leader Bharrat Jagdeo has stated that he was not interested in extending the date, they may need to extend the date, because since the passage of the no-confidence motion, the Guyana Elections Commission (GECOM) has not started any preparation. 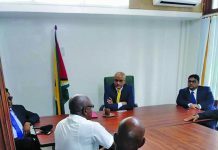 Jagdeo has indicated that should GECOM continue to delay its election preparations, seeking legal remedies to compel such preparations are a possibility. “We believe GECOM could be ready in the timeframe by March 19. Because if they have to have 50 days for Nomination Day and two weeks to notify the parties, they still have 50 days remaining. GECOM successfully ran the Local Government Elections in November 2018, less than three months ago. The President of Guyana, according to the Constitution, has to dissolve Parliament and issue a date for elections.